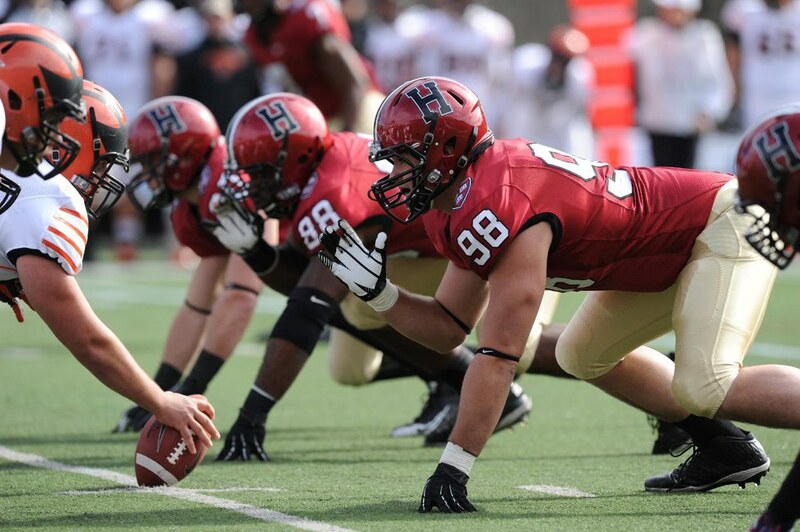 Harvard University took on their Ivy League rival Princeton this past Saturday, October 24th. The two teams have a rivalry dating back to their first meeting in 1877, and it has become a tradition to celebrate their annual meeting ever since. This year, Harvard held its annual Community Football Day at the school's football stadium, welcoming locals from neighborhoods all over. The event provided free admission to all Allston-Brighton and Cambridge residents and are currently welcoming kids under the age of 12 to all home games. Community Football day proved to be a huge success, for Harvard Stadium was immediately packed at the very start of the event. Although Harvard has a strong community following, many alumni members were in attendance as well. Tom Keefe, a Harvard Class of 2011 graduate, came from Providence to meet up with his old classmates. Keefe described just how special Harvard's football team is to the community, "It's not only a well-known school, but basically everything affiliated with the school is celebrated by the community in some way. 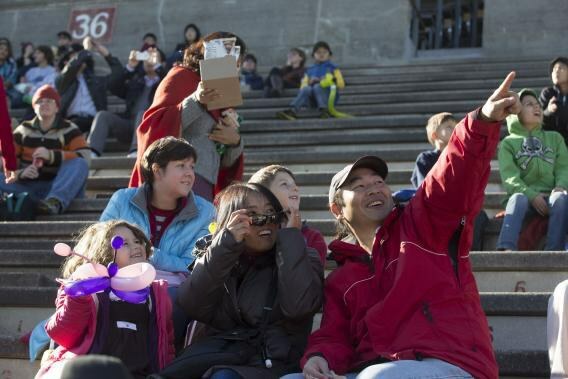 Harvard's events encourage families to become more involved and that's one of my favorite things. In the past, my siblings would come to visit me for Community Football Day." Just like Keefe said, this event is a huge attraction for families. On Saturday, almost everywhere you turned, you came across large hoards of families engaging in all the activities Harvard had to offer. It was certainly refreshing to see such an enthusiastic turnout. Aside from Harvard events drawing large crowds in general, the century and a half old rivalry between the Harvard Crimson and Princeton Tigers demonstrates a special kind of relationship. A majority of the attendees were aware of the history between the two Ivy League schools and this definitely helped escalate the already passionate demeanor of the event. Lila Gessner, a current undergraduate student at Harvard, expressed vehement excitement over the afternoon game, "Everyone knows how special Ivy sports are and how involved everyone gets. I know sports at some colleges aren't taken seriously, but here that's a completely different story. Anytime I go somewhere in Cambridge and I'm seen wearing my Harvard sweatshirt, someone knows about how they did in their most recent football game. It's nuts." Gessner certainly didn't find herself disappointed by Saturday's events, for the Crimson defeated the Tigers 42-7, improving their season record to 6-0. Harvard will be taking on Dartmouth on Friday, October 30th. If there's one thing to be taken away from Community Football Day, it's that residents take Harvard athletics very seriously.